Where do I start to educate myself and our company? How can I get a free copy of the “12 Questions You Absolutely Need to Answer Before You Buy A Solar Electric System©”? I am not a technical person; will I get any real value out of reading Dr. Balfour’s books? When will Dr. Balfour’s, “The 36 Criteria Groups Essential to Design High Performance PV Systems”, be available? The PV vendors that spoke to us said that shading was not as big of an issue as we were lead to believe, are they right? The vendors we have spoken with told us they the National Electric Code (NEC) is the design, training and installion standard for the PV industry, is that accurate? Our PV designer says that our system only needs to have sun on the array from 9:00 AM to 3:00 PM, can that be right? How do I get a copy or copies of, “The Art and Science of Photovoltaic Technology” education series? I have been told that PV is a commodity, is that true? Three companies are all telling me different stories about what we need at my home and office; can you help us sort it out? How important is experience in design and installation? 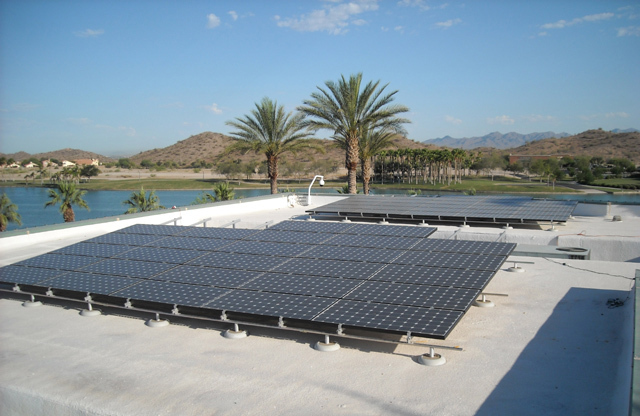 How much experience and training is required to design and install PV systems in Arizona and other states? If there is no requirement for training and education for PV design and installation how do I select the right company to work with? After I read the “12 Questions You Absolutely Need to Answer Before You Buy A Solar Electric System! ©, I found the solar companies I spoke to can’t answer most of the questions, what do I do now? My electrician has been in the electrical business for 30 years, he would like to “get his hands of some of that solar equipment”, how do I know if he is properly trained for PV? What is the PV requirement for professionals to be designers or installers? We have a system and are not sure it is working properly; can you inspect it and let us know how well it is working? Our PV system is only providing half of what it is supposed to produce can you determine what is wrong and repair it? My PV company tells us that the inverter manufacturer will do the commissioning for our system, is that enough? When do we need a service and maintenance plan? Do you have a service and maintenance plan? How much of the service and maintenance can we do in house? What other publications do you have or suggest which are available to help us may better decisions?